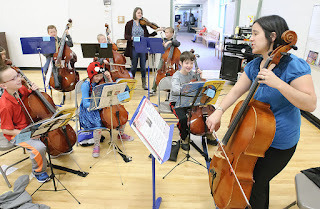 The official elementary orchestra program for Cache County and Logan City School Districts. For anyone that missed the great article in the Herald Journal Cache Magazine ... here is the link! It was a great article! Utah State University Music Dept. Need to buy or sell used? How can you give to MWSA? "For some children, this may be the best thing they do in their life, giving them self-esteem and a sense of belonging." MWSA. Simple theme. Theme images by rajareddychadive. Powered by Blogger.